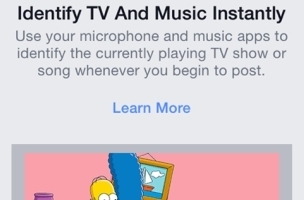 Facebook is adding a hint of Shazam to its flagship applications for iOS and Android in the form of an optional feature that allows users to use the microphones on their devices and identify songs, television shows, or movies for inclusion in status updates. Users who elect to activate the feature will see audio icons on their screens while composing status updates, and the audio icon in the top-right-hand corner can be clicked at any time to disable the feature. 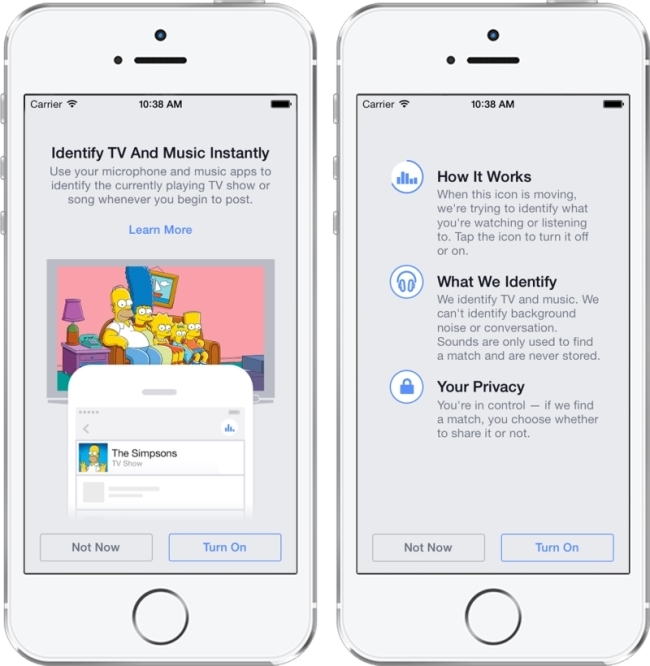 When music is shared, users’ friends can access 30-second previews of songs, and for TV shows, the stories that are created in News Feed will highlight the specific season and episode, in an effort to avoid spoilers. 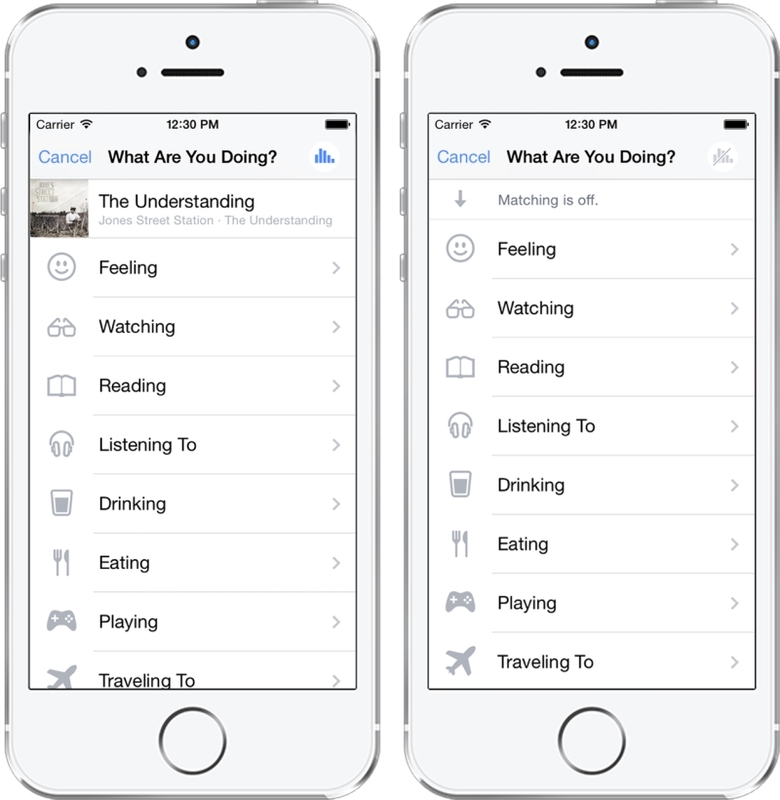 In the past year, people shared more than 5 billion status updates that included these kinds of feelings and activities, sparking conversations with friends in a more visual way. Today, we’re making those conversations quicker and easier by introducing a new way to share and discover music, TV, and movies. When writing a status update — if you choose to turn the feature on — you’ll have the option to use your phone’s microphone to identify what song is playing or what show or movie is on TV. That means if you want to share that you’re listening to your favorite Beyoncé track or watching the season premiere of “Game of Thrones,” you can do it quickly and easily, without typing. Here’s how it works: If you’ve turned the feature on, you’ll see an audio icon moving on the screen when you write a status update. If the feature finds a match, you can then choose to add the song, TV show, or movie to your post. Like with any post, you choose who can see it. You can also turn the feature off at any time by clicking the audio icon in the top right of the screen. If you leave the feature on, you will see the audio icon move and attempt to detect a match when you’re writing a status update. No sound is stored, and you’ll always get to choose whether you post to your friends. If you share music, your friends can see a 30-second preview of the song. For TV shows, the story in News Feed will highlight the specific season and episode you’re watching, so you can avoid any spoilers and join in conversations with your friends after you’ve caught up. Readers: Will you use this new feature when it is made available to you?